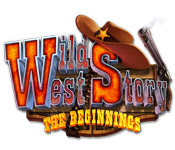 Wild West Story: The Beginning is rated 3.6 out of 5 by 8. Rated 5 out of 5 by obie1one from Enjoying it This game is different and fun. It has a relaxed mode. Easy match 3 for us older folk. 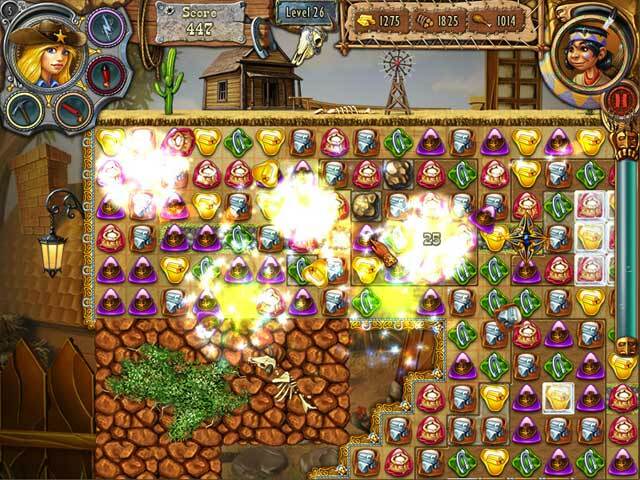 You collect gold and supplies by clearing a M3 path for the cowgirl to walk to her goal. It is a slow moving board but not confusing. Then you rebuild the western town. There is a few easy HO pages. Try it you will like it. Rated 5 out of 5 by CorinaGh from Great game! I really loved this game and the small hidden object scenes between the normal levels. Great graphics and fun to play. Rated 4 out of 5 by SpookyPigdog from Too much eye candy but good gameplay The best part about this game is the gameplay - I like the "get calamity along the path" thing and the way the screen moves with her. It makes it so much more challenging than a regular match3 game - a nice spin. However, all the graphics and wild westness around the match3 part of the game is overkill in the extreme and almost ruins a great game (it was great quality - but I marked it down for overkill). I don't like these build your own town ones where you have no control over what you build or where you put it. But I did buy it for the pleasure of the main Match3 game, and I just grit my teeth thru the rest! Rated 3 out of 5 by chunkychow from Motion Issues (like me) If you have motion issues, don't even try to play this game. The board moves around a lot & will just make you dizzy !! Rated 3 out of 5 by Rivakonneva from Not what I'd hoped for I liked the demo so much that I bought the game. But once I hit level 50 nothing changed. It was nothing but match-3 with no goal to achieve. I didn't finish and don't plan to replay it again. A disappointing end to a creative beginning. Rated 3 out of 5 by gpj53 from Tedious I have finally finished the 100 levels after 9 months of playing off and on. While at first I quite enjoyed playing, once I got all the buildings it then just became a tedious job getting it finished. Even the challenge of clearing 100% of tiles became boring and I got through the last 10 levels as fast as possible. I am rating it okay as I did enjoy it at first, it was just way too long and would be much better if at least 20 levels had been left off. 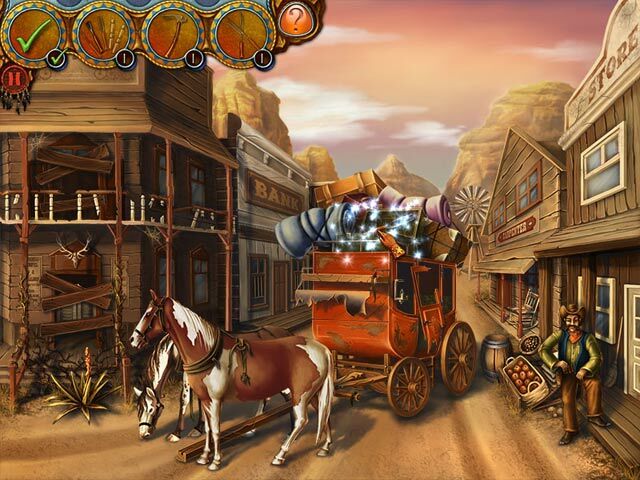 Join Bella and Coyote Cub on their amazing journey to help rebuild their hometown in this exciting Wild West themed game!